Early tracks  ALL re-recorded last year!!! This album contains tracks from the very beginning of Sweet William. The band was founded in October 1986. The first rehearsals were complete improvisations. Marius Nagel on drums was the only educated musician. The rest of the band, Oliver Heuer on vocals and one string guitar and Bodo Rosner on bass were autodidacts. In 2016-17, about 30 years later Sweet Willian recorded these eleven songs for the first time in studio quality. Some of the tracks have been released earlier as live versions on tapes and cds. Discover the early post-punk goth rock side of Sweet William with a production from nowadays! Recorded, mixed and mastered at Sonic Studio by Oliver Heuer and Marius Nagel in late 2017. 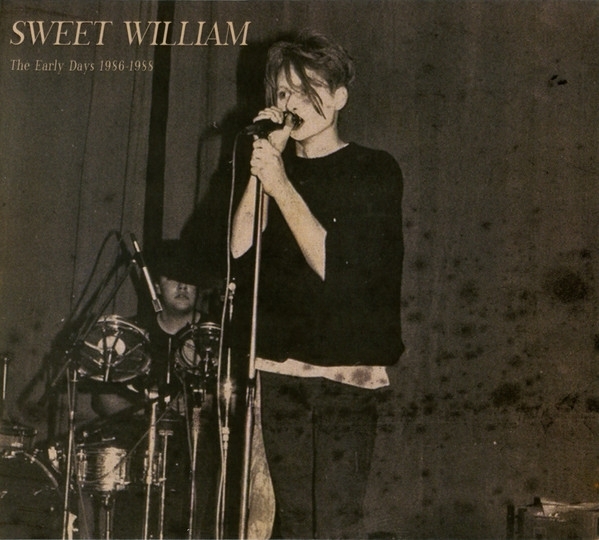 Sweet William is a legendary act from Kerpen, Germany, founded by Oliver Heuer in 1986. Their sound ranges from goth rock and new wave to psychedelic and experimental and they released a number of highly influential records on Hyperium, Big Noise, Dion Fortune and other labels.